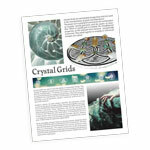 Crystal grids are used to manifest intentions by placing multiple crystals upon a sacred geometry pattern, working toward a common goal or purpose. 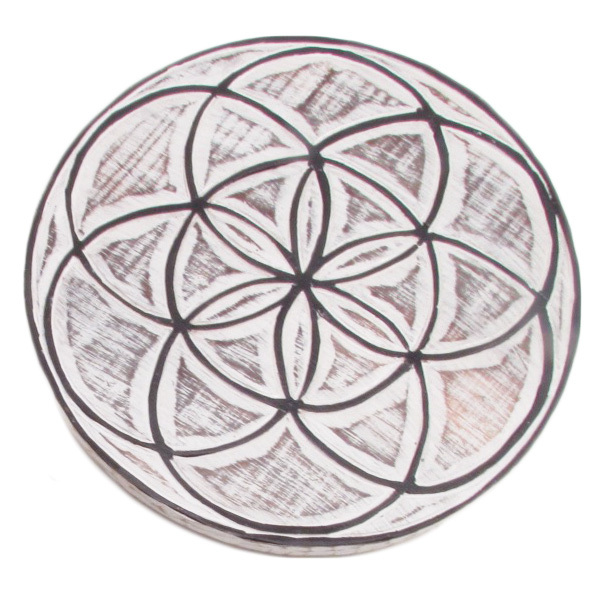 This beautifully hand carved wood plaque mandala is the universal symbol of creation, better known as the Seed of Life. Found at the heart of the Flower of Life, the seed reveals the most fundamental shapes of creation. 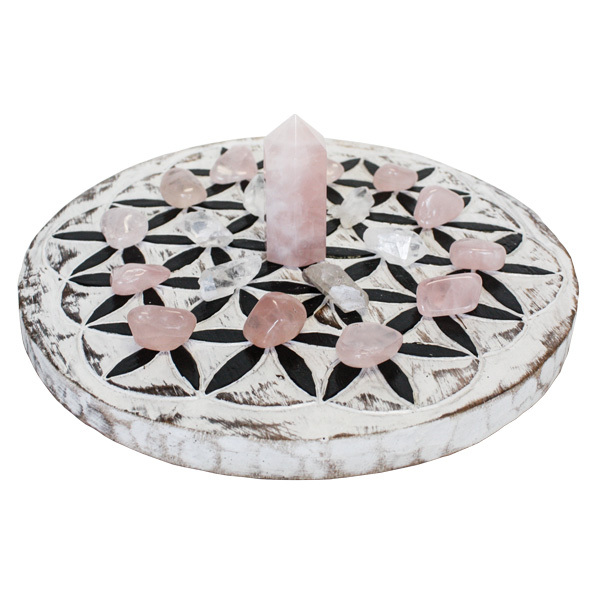 It is said that crystal grids are an incredibly powerful energy tool used to manifest aspirations, desires, goals, and intentions. The stones and crystals used in conjunction with the sacred geometry of the crystal grid, creates a union of energies of each item used, amplifying their intended purpose. Leonardo da Vinci studied the Flower of Life's form and its mathematical properties. He drew the Flower of Life itself, as well as various components such as the Seed of Life. He drew geometric figures representing shapes such as the platonic solids, a sphere, a torus, etc., and also used the golden ratio of phi in his artwork; all of which may be derived from the Flower of Life design. Mandala in Sanskrit means lit or circle. It is a spiritual and ritual symbol in Indian religions, representing the universe. 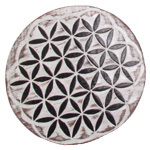 In common use, mandala has become a generic term for any diagram, chart or geometric pattern that represents the cosmos metaphysically or symbolically; a microcosm of the universe.